The two markers, reams of flagging tape, several parked backhoes and a drill, where two employees are watching a small stream of water run into the ditch, are the only apparent signs of construction at the site in the remote heart of the Purcell Mountains. A vital deadline is looming for Glacier Resorts Ltd., which by next month has to prove to B.C.’s Environmental Assessment Office that significant progress has been made on the billion-dollar plan to build a 6,300-bed resort on Crown land in the glacial wilderness, 55-kilometres west of Invermere. According to Jumbo Glacier Resort Municipality Mayor Greg Deck, everything is on track and construction is underway. “I don’t know the definition of substantial, but certainly the beginning of the lodge and the towers for the lift strike me as substantial,” he said. Yes, that may be true, if small, non-structural slabs without footings are the beginnings of a large building for public assembly. Not true if the slabs are mere pretence. The latter possibility seems more likely because, after eight months of foot dragging, Minister Mary Polak finally cancelled the environmental assessment certificate. Perhaps Liberals will explain why the public is stuck with a 7-figure tab for an under-financed promoter’s dream. A province that charges citizens as much as $83 for a birth certificate tempers its demand for cash when political friends and corporate welfare bums are involved. The following was published at Northern Insight August 22, 2012 and, with current developments, it’s worth re-posting once more. Bob Mackin has an interesting piece in The Tyee about a newspaper tycoon and BC Liberal abettor. David Black’s bluster was about about oil refining but the part of Mackin’s story that caught my eye involved one-time Province newspaper publisher Paddy Sherman. In 1958, Sherman was both a news reporter and an avid mountain man. Apparently, vocation served avocation when he wrote a front page promotion for an unlikely BC ski resort. There was no financing and little substance to the extravagant plan but that didn’t bother The Province. Sherman wanted the facility to proceed so they gave it maximum splash. Grandiose Garibaldi Scheme Falls Flat on Its No-Assets. In 1993, The Province was calling Jumbo Glacier Resort a certainty involving European and Asian investors. Two years later, newspapers said the project was proceeding with support from a consortium of Canadian, U.S. and European investors. In 2012, the Times Colonist repeated promises the ski hill would soon be operational. NW’s Bill Good and others try to paint Jumbo as a victim of regulatory foot dragging but actually Jumbo has been an unfinanced scheme with proponents hoping that media play would attract investors. 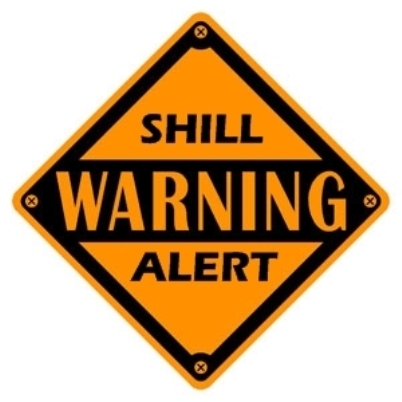 Shills in the corporate “news” operations were willing partners. By the way, don’t plan your ski vacation at Jumbo just yet. Media may have people like Bob Mackin aiming to report accurately and sincerely but it has many more who earn a living by shilling for special financial interests. Sometimes, the promoted is a ski hill, fish farming or “ethical oil.” Other times, it is a pipeline operator, car dealer or land developer. A Federal judge overseeing the Oracle vs. Google patent lawsuit said that search giant has failed to comply with a request to document all payments to bloggers and writers covering the trial. Serving public or corporate interests? Given our politicians proclivity for saying one thing while having their fingers crossed behind their backs, I am more than a little suspicious of Ms. Polak's comments. I glean from your reference to the Desmog article that only two environmental review certificates can be be issued by provincial legislation, but the ministry statement suggests the proponents will be able to secure a third if they choose to. Am I being too skeptical? My understanding is they have to start a new application but that can be done with the same materials. So, if Bill Bennett and company still aim to push Jumbo Glacier through, they can move through the steps fairly quickly. However, one problem with this project is, and has always been, a lack of financing. The proponent can't put up the money needed (variously stated at hundreds of millions to a billion) so has focused on keeping the dream alive with hopes that deep pocketed investors will be found. It is also worth considering that people with a lot more political muscle in BC want to build a major ski resort near Squamish. I doubt the Aquilini and Gaglardi families are encouraging their friends in Victoria to keep the Jumbo Glacier project alive. The short public comment period for the Garibaldi at Squamish development closes June 22. Over 900 people have spoken up in opposition but the developers say they have the support of a “silent group” of people. There is a limited market for high end ski developments and it's the real estate development that appeals to investors. Brohm Ridge is 75 km from Vancouver. Jumbo Glacier is almost 500 km. Which seems more desirable? Pheidias Project Management Corporation proudly states on its website, “The project underwent the most extensive approval process of its kind in North America, spanning two decades. Pheidias successfully steered the project through four major approval processes.” Looks like they’ll need five at minimum. Your probably quite right Lew, the lack of funding, not for the overall project but the donations seem a tad low for the BC Libs, hence no real interest in the Libs, ” lending a hand, so to speak. It would be interesting to see what would happen if someone stepped up and offered to pay for additional donations…hmmmm, makes one wonder…. It never ceases to amaze me: coal measured in 'millions of metric tons' – 175 in Fording River, Glacial ice loss in 'cubic km' – 6 in the Antarctic (which makes sense – my mind can grasp that), and Fracted NG (as in LNG) in 'trillions of cubic feet' – 175 in BC alone, and Victoria's sewage in 'Olympic Swimming Pools' – don't recall that number. Oh, and oil spills in barrels, litres and gallons, Imperial & US. 175 million metric tons (or tonnes) of coal = about 12 million truck loads OR 100 cubic kilometers – that I can grasp, almost. 100 km x 100km x 100km or 1000km x 1000km x 1km high. Seems like a lot of coal; and a lot of CO2. Anyone wish to confirm? As far as 175 trillion cubic feet of gas? How many cubic yards is THAT? A million square kilometres a kilometre high! Now just try pick THAT up! Even one corner of it! I expect it's even bigger in its combusted, gaseous form (that is, reacted with oxygen), actually heavier for the chemistry but floating invisibly in the air— an illusion that it's magically vanished. Ain't no magic. Thanx for the pics, John.